http://northamericanwordcat.booklikes.com Cat's Books: Romance 4.0 At War with a Broken Heart by Dahlia Donovan 4 Star Romance! 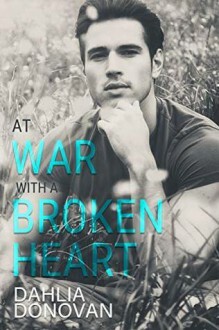 text At War with a Broken Heart by Dahlia Donovan 4 Star Romance! http://debbieattenborough.booklikes.com debbiereadsbook 5.0 get the tissues ready, you'll need them! text get the tissues ready, you'll need them!